The Chinese are in love with the range-topping Mercedes. Whenever Mercedes-Benz unveils a new S-Class, as it's done here in Shanghai, it’s a big deal. With new lights all round sporting 3-torch design LED DRLs, a restyled grille, new bumpers, a new steering wheel and semi-autonomous driving capabilities, this is not your average mid-cycle refresh. 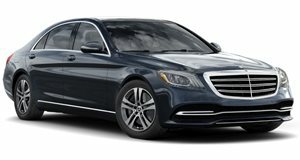 For instance, new driver aids in the 2018 Mercedes-Benz S-Class, such as Active Distance Assists Distronic and Active Steering Assist, takes safety to the next level turning the S-Class into a semi-supportive copilot when drivers are behind the wheel. Another innovative new feature is Energizing Comfort, which takes occupants’ wellbeing into account and highlights how Mercedes is planning for a self-driving S-Class in the not-so-distant future. New powertrains include a 3.0-liter twin-turbo V6 with 362 horsepower on tap and a new V12 built specifically for China. The Maybach S650 features a 6.0-liter twin-turbo V12 while the range-topping S63 AMG gets a 621-hp twin-turbo V12 to play with. All new S-Class models come with a new three-spoke steering wheel, the latest version of the automaker’s COMAND multimedia system, and a set of 12.3-inch high-resolution display screens situated in a shared glass panel.